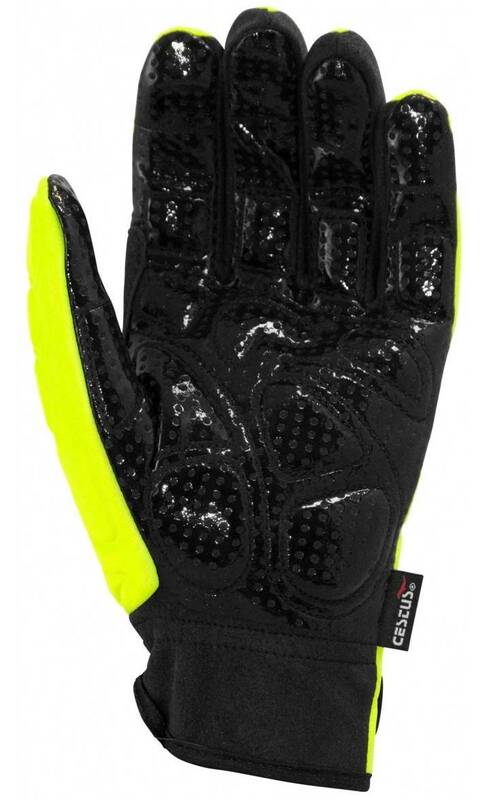 The Turbinator is a windproof glove that was designed based off of feedback from the Turbine and Wind-Energy industries and contains silicone-covered Hexagonal Memory Gel patches on the palm for strong grip control and vibration absorption. Climbing hundreds of feet into the air in a wind turbine requires steady and unfailing grip control which led to the development of the Turbinator.Windproof and light-weight the Turbinator silicone covered Hexagonal Memory Gel patches on the palm for strong grip and vibration absorption. Designed based on feedback from the wind energy industry the Neoprene back of the gloves adds wind resistance as well as breath ability and comfort. 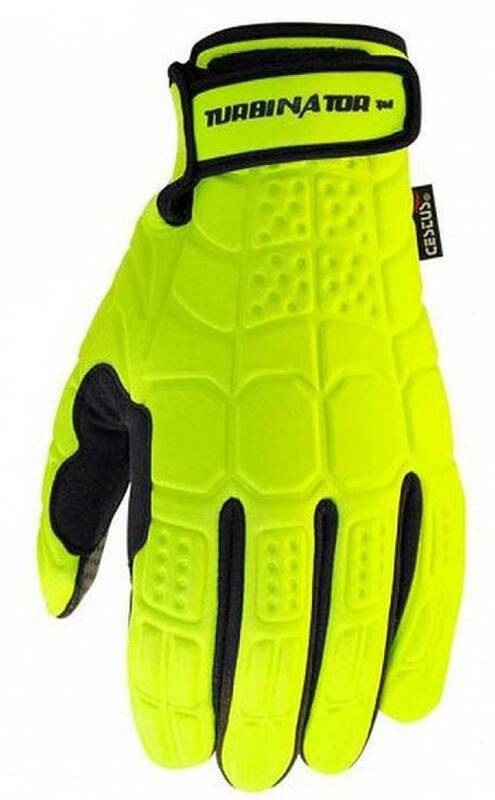 Hexagonal Memory Gel: Absorbs vibrations from wind turbines and tools, while protecting from HAVS (Hand-Arm Vibration Syndrome) and carpal tunnel.